It is great when you come into a visual work space and already see someone there! 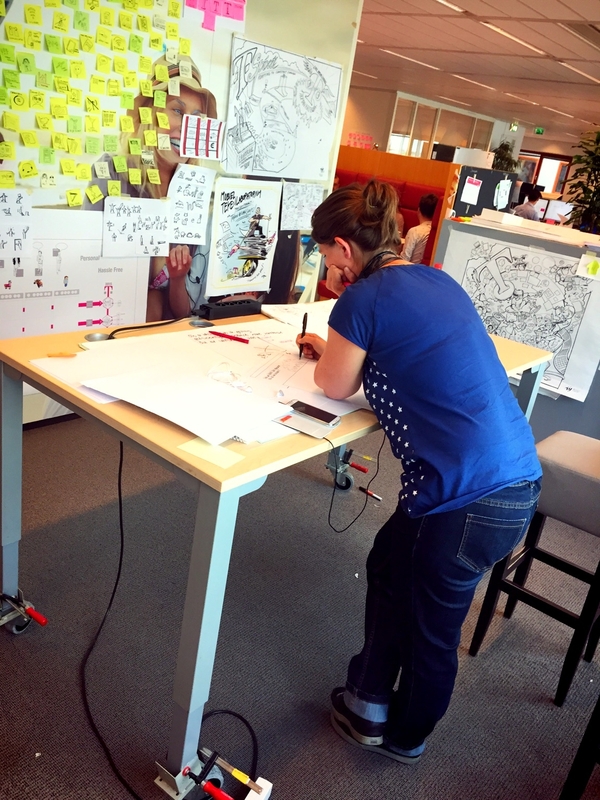 Sanne Koopmans has been an enthusiast of the Mobile drawing laboratory from the start and is now a regular user of the facility. Hope to see that the rest will follow! Posted in case, draw, Drawing out Change, the mobile drawing laboratorium, Thinking. Bookmark the permalink.